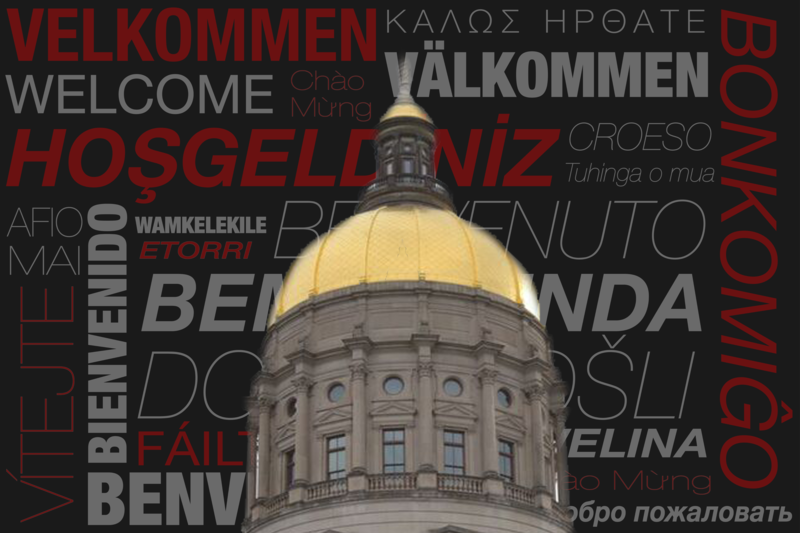 New proposed Senate Resolution 587 takes another stab at making English Georgia’s official language. State senator Joshua McKoon proposed the resolution on Jan. 18, 2018, and thinks this piece of legislation will not only reduce taxpayers’ money spent on government translations, but will also push non-native speakers to pursue learning English. As for his second piece of reasoning, McKoon said promoting the English language will result in a healthier political climate. “Research shows that the adoption of English by [the non-native English speaking] population [has] slowed down. The speed in which people will adopt English will increase and the reason that is a benefit is that having a common language is critically important to a functioning democracy,” McKoon said. Making English Georgia’s official language will change government tests, such as the driver’s test, which is now currently offered in 11 different languages. These tests will now be conducted in English. “We are offering the [driver’s] test in 11 different languages, but the road signs are only in one language… Why would we offer the test in different languages?” McKoon said. All government meetings, announcements, and agendas would also be provided solely in English, which McKoon said would also help save the government money. “The idea that there’s going to be state resources provided to accommodate non-native English speakers is a waste of taxpayers’ dollars,” the senator said. The bill offers nine exemptions that will continue to accommodate native speakers of other languages. For example, within the healthcare system, people on Medicaid would still be able to receive medical treatment with reasonable language accommodations. Similarly, within the criminal justice system, there would be no restrictions put on the attornies, and they would still be able to communicate with their defendant in whatever language they choose. According to McKoon, roughly 80 percent of Georgians are native English speakers, which poses the question of accommodations for a small population of people, like the Hispanic community. But McKoon says he doesn’t think anyone will be negatively impacted. Cannon said she urges everyone to vote in favor of and speak up for inclusivity and reason. She said she believes “languages other than English being spoken in our state are a benefit to us as a culture and to our business environment,” and voting to limit to one language can ultimately hinder society and not help it. Georgia State student Roberto Guzman comes from a family of immigrants and said such legislation is disappointing. “That’s really disappointing, not only because my parents were immigrants–and now citizens– but I thought as a nation we were becoming more progressive. This makes immigrants not feel welcome to a country founded by immigrants,” he told The Signal.